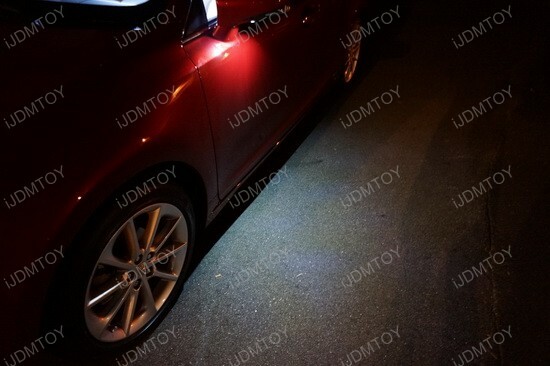 When you see this 2012 Lexus CT200h shining with all the LED for Lexus CT200h package from iJDMTOY, you’ll fall in love with the car. 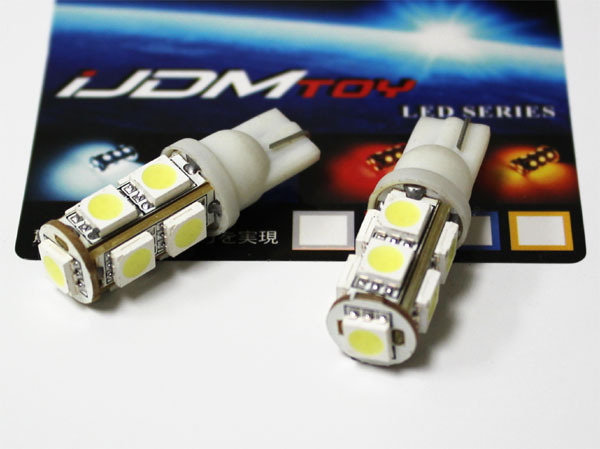 Check out the brand new H11 HID Conversion Kit in combination with 120-SMD H11 LED bulbs for fog lights, achieving super uniform white appearance in the front of the vehicle and enhanced safety. And this is just the beginning – interior stock lights were replaced with the direct fit LED light package, providing extremely bright light inside the vehicle, matching the luxurious white upholstery, and the 9-SMD T10 LED bulbs for the puddle lights. Probably the hardest lights to replace (and they aren’t even that hard) are the puddle lamps in the mirrors. However, to do this you’ll need a Philips head screwdriver, and of course a 9-SMD 5050 T10 LED bulb. First, tilt the mirror as high as you can, then reach below it and start pulling up and out, exerting gradual pressure until the plastic clips release. Once the two clips on the bottom release, pull outwards to release the top two clips. 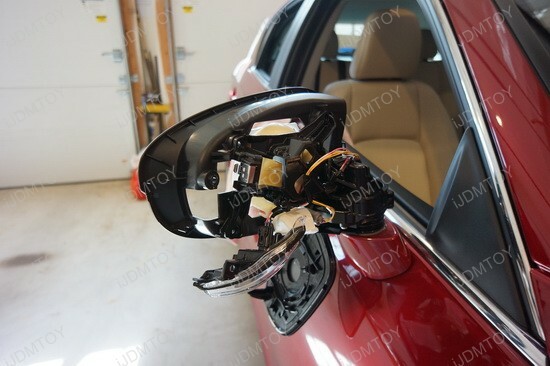 Unscrew the 5 screws, holding the mirror housing and on the bottom of the mirror you’ll find the puddle lamp housing. Remove the old bulb from the housing and plug in the new LED bulb. When you finish with this, test your puddle lights before reassembling the whole mirror, because the bulb is polar sensitive. If there is no lighting after inserting it into socket, simply change the terminal oppositely and it should work. Then put the whole mirror back in place and do the same with the other one. 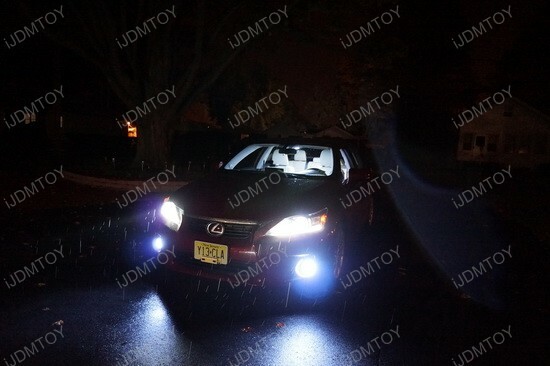 The 2012 Lexus CT200h looks smokin’ hot with all the Lexus CT200h LED lights package and it’ definitely worth the time and money invested in this project. 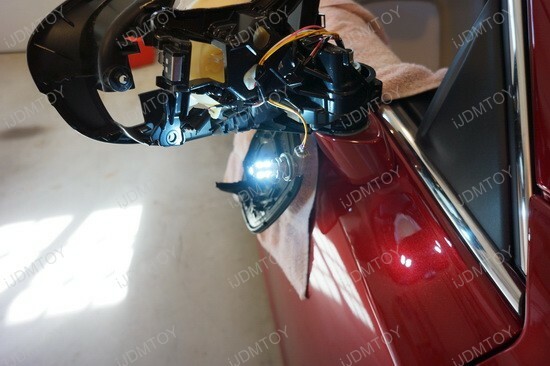 If you want to treat your car the same way this guy treats his own, then check out the iJDMTOY store and you’ll find great products to dress up your whip.